Once you get our new - Micro-Click - Firewall Adjuster installed your all ready for the rewards. You can make the once very hard and time consuming clutch adjustments in just a few Seconds. Featuring a detent lock every 1/4 inch to allow you to make even the most precise adjustments. Utilizing the best hardware and internals available for this application. It will take you longer to pop the hood and open it. Than it will to Adjust your clutch cable. The - Micro-Click - mechanism will never lose it's Adjustment. Our Triple Hook Quadrant was developed utilizing Double Hook Quadrant then simply adjusting for the Optimal location for the Third Hook. Offering you the most Versatile Quadrant available. Both of these Revolutionary designs have evolved over a number of prototypes, finally coming to production in a 6061 T-6 aircraft aluminum housing. With the highest quality heat treated detent ball in our final assembly. 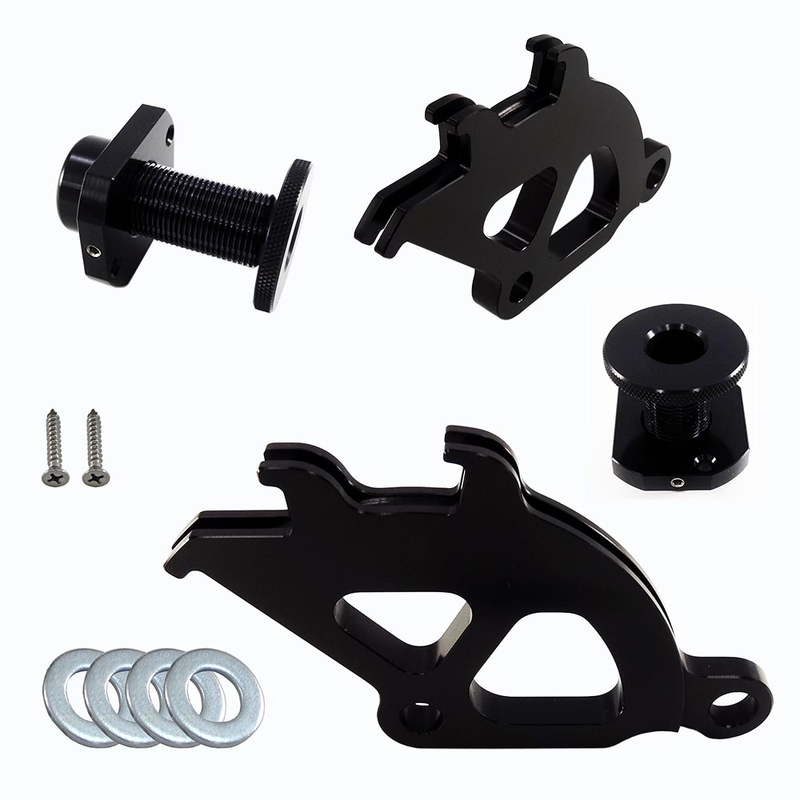 Firewall adjuster and quadrant are both CNC Machined 6061 Billet Aluminum and anodized giving you a precise fit and durable finish.